Nobi Nishii is the Hansa Distributor for Japan and will assist with technical and sales enquiries. He is based in Osaka. Nobi has competed in international sailing events: 1994 – Brisbane to Osaka and 1999 – Melbourne to Osaka. 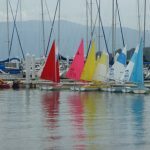 In October 2018 Japan will host the Hansa Class Worlds in Hiroshima. In 2018, there are now 360 Hansa class boats, sailed by 45 sailing programs throughout Japan. 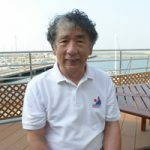 Each year there are regattas at Enoshima, Osaka, Beppu, Tokyo Mizube (Subaru Cup), Hiroshima, Koshigaya, Osaka, Okayama, Tokyo (Happy Open Yacht Race), Yokohama. Between 50 and 100 sailors compete in each event. 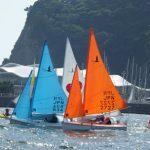 In Japan people of all abilities and experience enjoy sailing Hansa boats, bringing children and the local communities together to experience the excitement of sailing.